Be inspired by beautiful things. Subscribe to our newsletter to see trending jewelry designs and stunning vintage pieces. Never miss a sale or special offer. 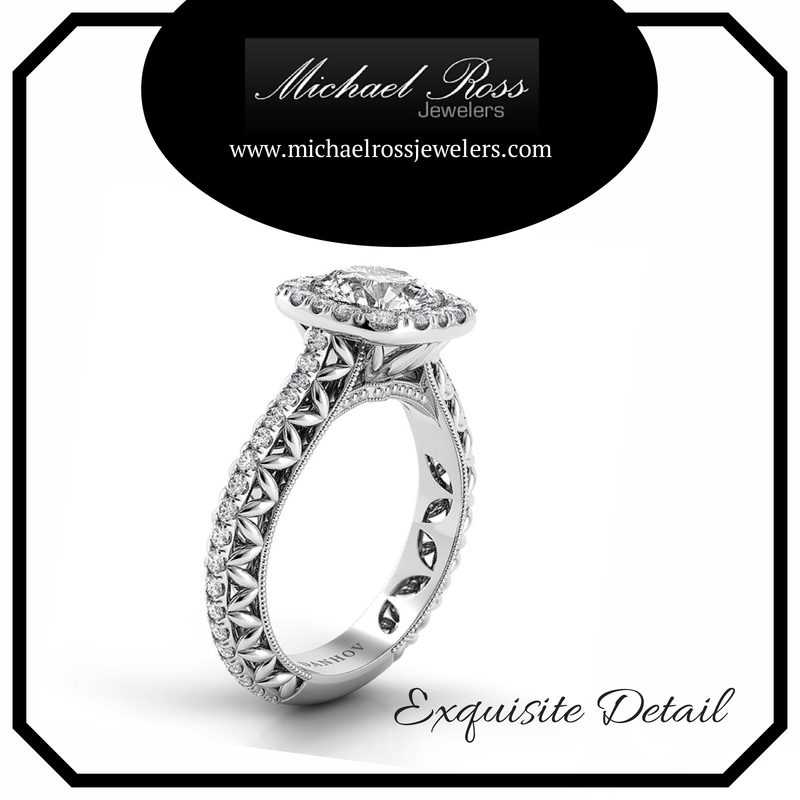 August is host to International Best Friend Day, and we at Michael Ross Jewelers know that the most priceless jewel in the world is a best friend. So with that inspiration, we are going to be giving away a pair of stunning Freshwater Cultured Pearl Friendship Bracelets to commemorate such a special friendship. Participation is easy! All you have to do is "Like" our Facebook page and share your favorite photo of you and your best friend for a chance to win! Post your favorite photo to the contest page, our Twitter page or our Facebook timeline to enter! A best friend is priceless! So don't miss out on this amazing opportunity to give your best friend a gift that reflects the beauty of your friendship! I want to give a HUGE thank you to Michael Ross Jewelers for the BEAUTIFUL monogram earrings that I won in their awesome Mother's Day giveaway, thanks to my sweet girl's precious words about loving her Mommy I also have to add that if you are looking for jewelry to be sure to check them out, because they have some absolutely breathtaking pieces! Love my redesigned ring! Thanks for getting it ready just in time for my birthday/anniversary! I absolutely love my new "old" ring! For those of you who are already fans, we’re big fans of you! For those of you who are soon-to-be –fans, we can’t wait to connect with you! Stay tuned for more gorgeous designs and giveaways. Michael Ross is proud to sponsor a special event hosted by The Child Advocacy Center: "Cheers to Children." All proceeds raised will benefit the organization's ongoing efforts to support the needs of children in our community. Please join us on July 28th, 6:00-8:30pm for wine, hors d'oeuvres, auctions and live music presented by Th Bonus Brothers. Bring a $35 donation and enjoy a good time for a good cause! Contact the CAC for more details: (251) 423-1101. Jewelry That’s Art. Jewelry That's You. This month, we’d like to introduce you to jewelry designer, Penny Preville. We are proud to offer pieces by this talented jeweler who has been the designer of choice for celebrities like Sandra Bullock, Ann Hathaway, Nicole Kidman, Sarah Jessica Parker, Eva Longoria, Oprah Winfrey and even the iconic Jackie Onassis. Jewelry enthusiasts around the world continue returning to Penny Preville for gorgeous designs that stun and excite. Penny Preville’s collections masterfully fuse old world techniques with modern sensibility. The result is an elegant and highly wearable line of jewelry that feels both feminine and luxurious. 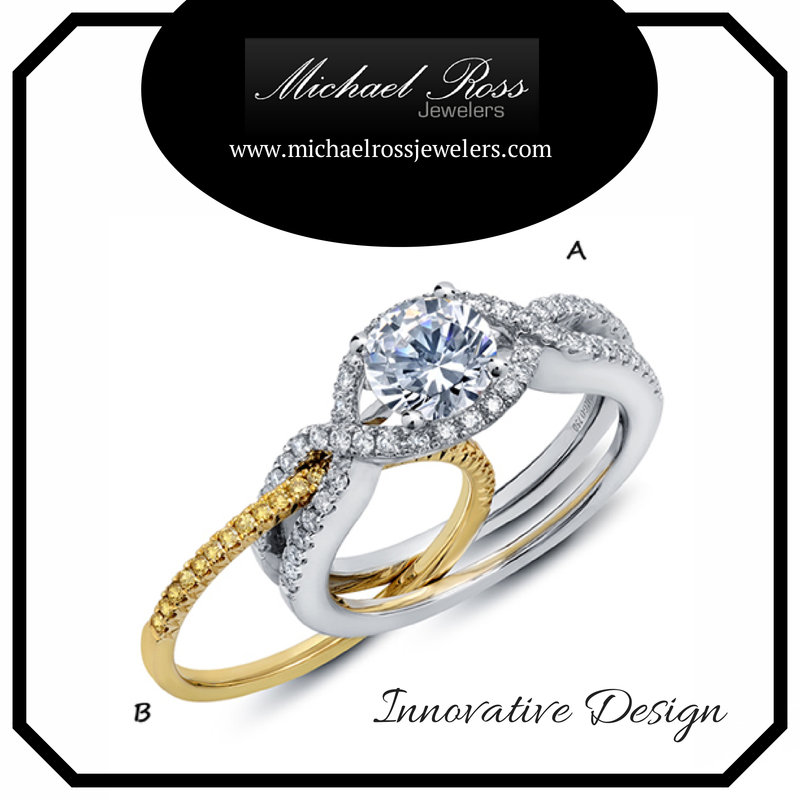 Check out a few of her designs here on our website: Penny Preville at Michael Ross. Then, stop by the store to see our full inventory of Penny Preville. Look forward to seeing you soon! We know that feeling: you adore someone and want to give them THE perfect gift. You want it to be unique, meaningful and perfectly tailored to him or her. Over the years, we’ve gotten to know hundreds and hundreds of friends and customers who feel the same way. We love collaborating with them to design one-of-a-kind jewelry masterpieces for engagements, weddings, anniversaries, birthdays and other special occasions. 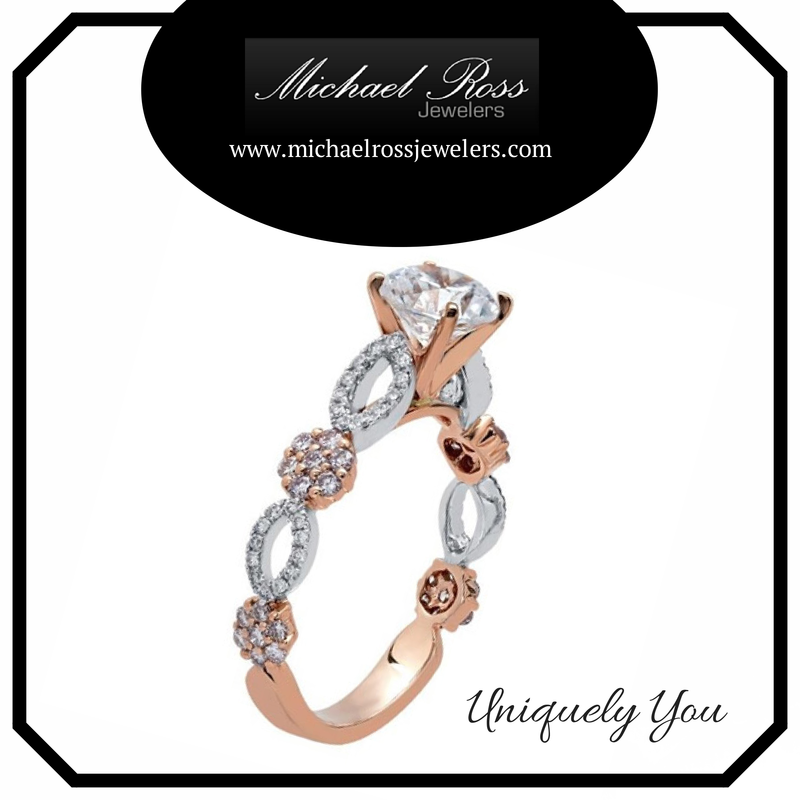 Consider custom jewelry – a piece that becomes a beautiful extension of your loved one’s unique spirit. 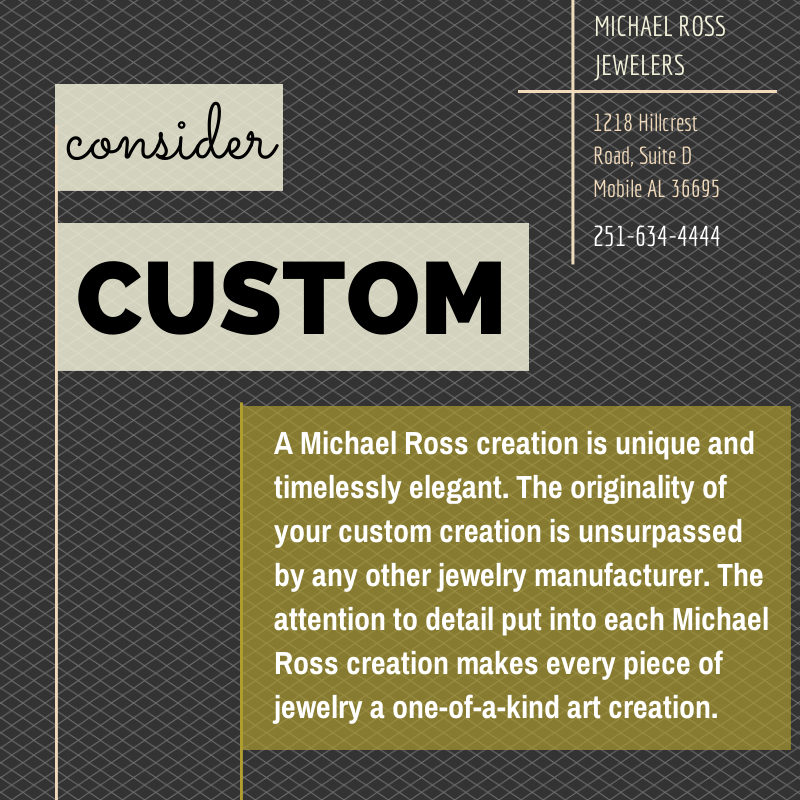 At Michael Ross, we take the time to understand your vision for your custom piece. Whether you know exactly what you want or you need a little partnering to complete your idea, we are here to create something personally and breathtaking. Our commitment to detail and craftsmanship is unrivaled. We are here to make your dream jewelry piece, a reality. 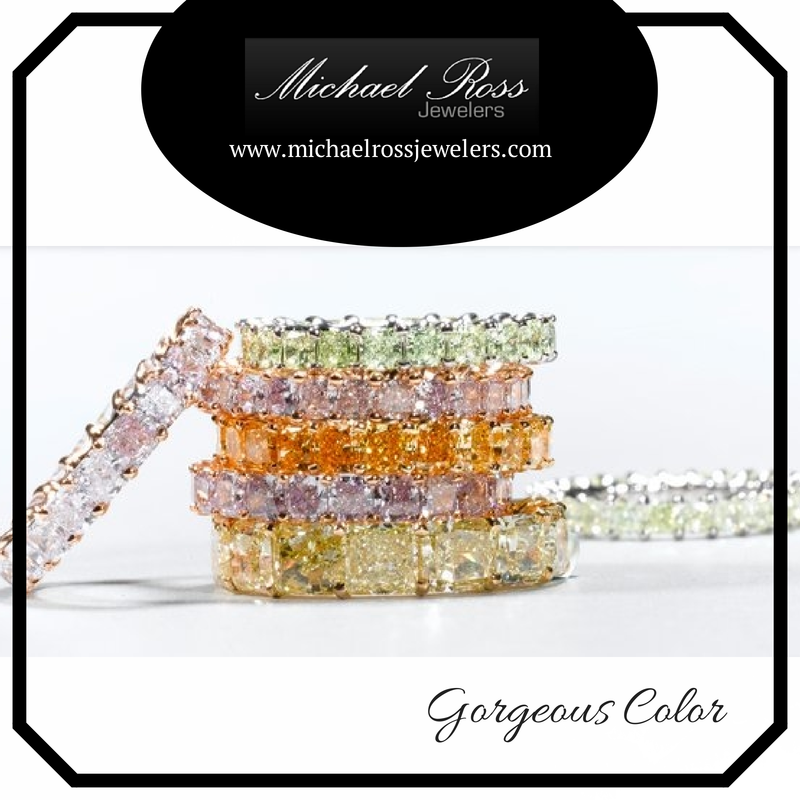 Thanks for stopping by the Michael Ross Jewelers' website! We appreciate your interest and shared passion for beautifully designed and unique jewelry pieces. 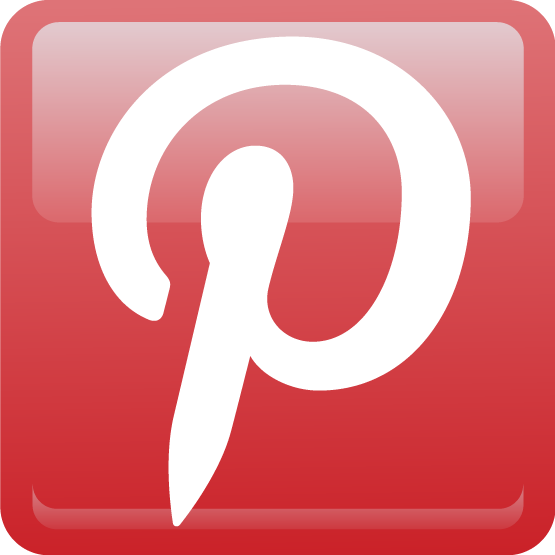 In an effort to share our love of refined jewelry, we've recently joined several social networks. 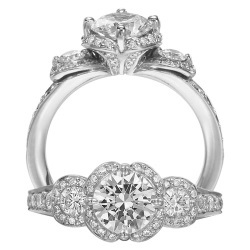 We're excited about posting stunning images of vintage jewelry, engagement rings, wedding bands, our custom designs and jewelry of all styles. You can also be on the look out for accessory inspiration, as well as tips and tricks on jewelry selection and care. Whatever happens to be your favorite social network, we'll meet you there! And we'll have oodles of dazzling visual content for you to enjoy. Be inspired by beautiful things.